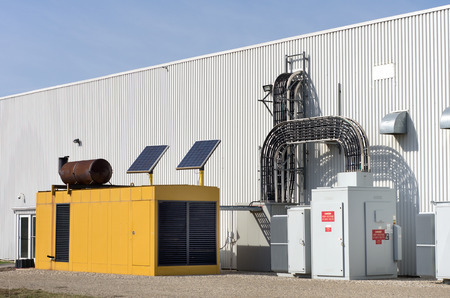 Looking for a Standby Generator for Your Business? Always on Electric provides electrical services for local businesses and homes throughout the western Colorado region. With a focus on customer appreciation and our extensive knowledge in the electrical field we cater to your specific electrical needs. When faced with a natural disaster or power outages in your area, the last thing you want to worry about is not being able to service your customers, which will result in loss of business and money. There are several reasons why a backup power source will help you stay in business through unexpected power loss. Safety– To ensure your safety and the safety of your employees, invest in a quality generator that will keep your lights and security systems operating and protect important electronic data. Security– In the event of a power outage, sensitive data you store electronically can be lost. With the use of a standby generator, you can ensure that your personal business information and customer information is not lost when the power goes out. Building Trust with Customers– When an outage occurs in your area, customers will look for businesses that are able to continue to provide services despite the current outage. If your business is able to operate in these conditions customers will remember this in the future for other needs they may have for your services. While searching for a generator, there are different factors that must be considered before choosing the right generator for you. These factors can depend on your personal business practices, the size of your business and ability to provide maintenance on the generator. EMD Generators– Electro-Motive Diesel is a low maintenance and low risk generator that has flexible functionality. Diesel Generators– A diesel generator operates with the use of a diesel engine and electrical generator. Diesel generator are best used for emergency power. Portable Generators.- Portable generators typically operate using gasoline as fuel and are portable which makes it ideal for commercial or industrial use. Natural Gas Generators– Natural gas generators operate using natural gas for fuel. Natural gas generators help reduce the amount of pollutants released into the environment because it is the cleanest of all the fossil fuels. From floods, tornadoes, blizzards and earthquakes , Colorado has experience it. Allow Always On Electric to ensure that your business can withstand whatever nature brings our way! By installing landscape lighting on the outside of your home, you can improve the appearance of your residential property at night and make it a whole lot safer and more secure. But before you start putting landscape lighting into place, it’s important to create a landscape lighting plan. Check out some tips that will help you do it below. Create a list of goals for your landscape lighting design. What is it that you want your landscape lighting design to do once it’s in place? Do you want it to shine a spotlight on several of the key landscaping touches located in your yard? Do you want it to light up the walkway leading up to your home? Or do you want it to do some combination of both of these things? Prior to installing landscape lighting, you should list your goals so that you can set out to accomplish them. Decide which kind of lighting fixtures you want to use. Many homeowners are surprised by how many different types of lighting fixtures are available for landscape lighting designs. Browse through a bunch of your options while you’re creating a landscape lighting plan to see which ones you want to be set up on the outside of your home. They’ll offer you inspiration as you set out to come up with the best landscape lighting design possible. 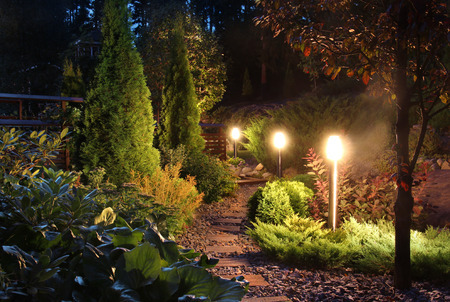 Work with an electric company that has experience with landscape lighting. Incorporating landscape lighting into the exterior of a residential property is not a DIY job. You’ll need an experienced electric company by your side to lead the way. They should know how to safely install the wiring that’s needed for landscape lighting so that it stays put for years to come and doesn’t present any big problems. Would you like to create a landscape lighting plan for your home? Call Always on Electric at 970-309-2616 today to hear about the residential electrical services we can provide for you. 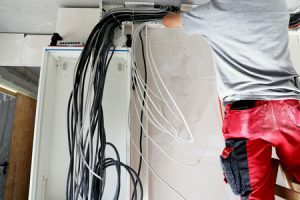 If you’ve never done any electrical work on your own, you might be under the impression that residential and commercial wiring are one and the same. But this couldn’t be any further from the truth. 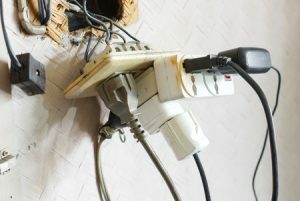 Since residential properties typically have much different electrical demands than commercial ones, there are lots of differences that separate residential and commercial electrical wiring. Check out a few of the key differences between the two below. The designs for residential and commercial electrical wiring are different. 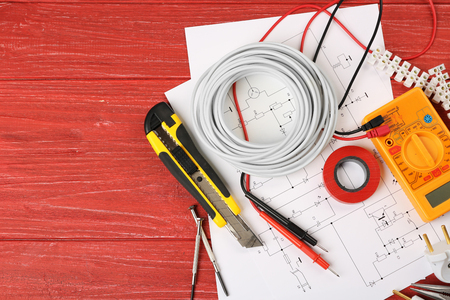 In most instances, residential electrical wiring has a single-phase design. It consists of three wires, including a positive wire, a negative wire, and a neutral wire, and they’re capable of carrying 120 volts. 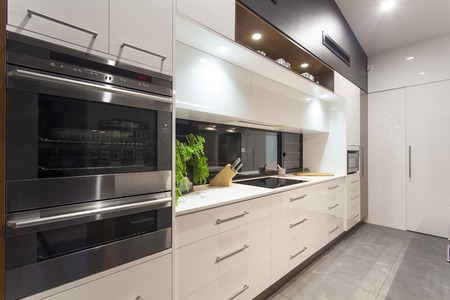 The only exception is when the electrical wiring is connected to a large appliance like an air conditioner or a washer and dryer. In that case, residential wiring utilizes a two-phase design that can carry 240 volts. But when it comes to commercial electrical wiring, a three-phrase design is the preferred option. This type of system includes two legs that can carry 120 volts each and another leg that can run 208 volts. The location of residential and commercial electrical wiring is different, too. Residential wiring is usually hidden inside of most homes. The only way you can find it is by taking down part of a wall or crawling into an attic or crawlspace. Commercial wiring, on the other hand, is often put in more accessible places. For example, you’ll often find commercial wiring in the ceiling rafters of a commercial property where it can be serviced quickly and easily. Residential and commercial wiring also have different insulations. Residential electrical wiring is almost always covered up with sheath insulation before it’s installed. But commercial electrical wiring is typically covered with a more heavy-duty type of insulation called TTHT. It’s specifically designed to protect commercial electrical wiring from liquids, corrosive gases, and more. There are some electricians who only work on residential wiring. There are others who specialize in commercial wiring. However, at Always on Electric, we do both. 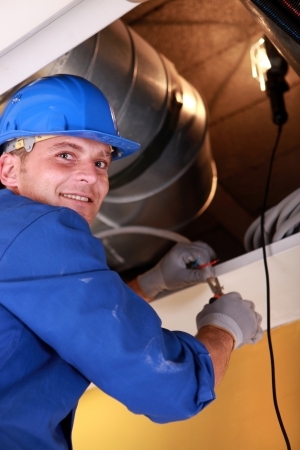 We offer residential electrical services as well as commercial electrical services to our clients. Call us at 970-309-2616 today to schedule services for your home or business. Whether you realize it or not, your business presents itself to the public 24 hours a day, 7 days a week, 365 days a year. People will pass by your business at all hours, so it’s important to have quality exterior lighting, especially when it’s dark outside. When your business is open after the sun goes down and it’s really dark outside, people need to be able to see it in order to find it. Even when you’re closed, leaving the lights on has numerous benefits, including that it’s great round-the-clock advertising for your business. Did you know there are many ways to describe light? Soft or bright are typical adjectives used when describing light, but there’s also hue (shade), colorfulness, and saturation (intensity/chroma). Lighting helps set a mood for a place. Did you know red/orange light heightens people’s appetites? Or that nightclubs will use blue/purple light to help make people feel more comfortable and ready to socialize? Light is essential to business. 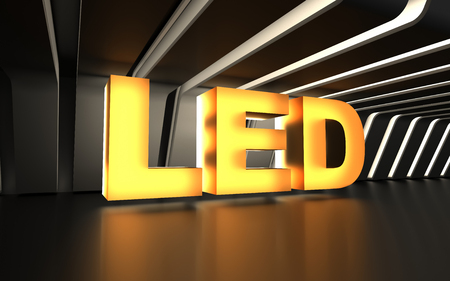 With exterior lighting, your business should be lit up in such a way that it encourages “walk-in” business. The light(s) should literally attract customers. A great idea is to use path lighting, which literally lights the pathway to your door so customers know exactly where to walk in order to get into your place. Pathway exterior lights will also help draw attention to your business and its doors. Meanwhile, people feel more comfortable going into a place that’s well-lit. A bright storefront, for example, has better “curb appeal” than a dark one. One of the main reasons businesses invest in quality exterior lighting is to deter thieves. Safety, with businesses, is always a concern. Criminals and people up to no good love to find dark spots to make trouble– where they can’t easily be seen. However, when a building is well-illuminated, it looks, feels and literally is safer than a building that’s dark. Also, lights help security cameras create clearer pictures of exactly what’s going on outside of a business at night, whether it’s on the sidewalk in front, in the nearby parking lot or wherever people tend to congregate. Finally, lights add personality to a place. Think of the unique businesses and their exterior signs that stand out in your memory. Lighting can add new decor elements to your building, making it even more attractive. Lighting can also double as signage. Always On Electric handles exterior lighting for many businesses in the Roaring Fork Valley of Colorado; please call 970-309-2616 to discuss your exterior lightning needs/wants today. It’s not all that uncommon for homeowners to be forced to deal with short circuits in their electrical systems. However, short circuits should not be taken lightly. 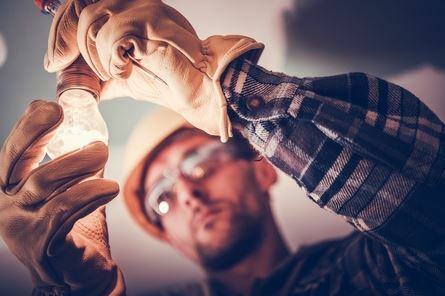 If you ever experience a short circuit in your home, it’s a good idea to have an electrician come out to make the necessary repairs. Here is a brief overview of what short circuits are, what they’re caused by, and how they can affect you. What exactly is a short circuit? A short circuit in your electrical system takes place when a wire that’s carrying an electrical current comes into contact with another wire or portion of a circuit, thus giving the electrical current a less resistant path than before. It brings the distance between two conductive points down and results in more heat being produced by the electricity. Short circuits in your electrical system can be caused by any number of things. If your electrical wires aren’t insulated properly, it could cause a short circuit. Short circuits can also be caused by loose connections in your system and pests that have chewed through wires. Older appliances can also cause short circuits to occur. Why is a short circuit dangerous? Short circuits in your electrical system are dangerous because they allow for larger amounts of electricity to run throughout your home. That electricity can generate a lot of heat and lead to a fire if you don’t have short circuits fixed. Short circuits can also force you to make costly repairs to appliances and damage other electrical equipment. Don’t ignore the signs of a short circuit in your home. Always on Electric can make short circuits a thing of the past by inspecting your electrical system and repairing it. Call us at 970-309-2616 to schedule an appointment if you suspect short circuits could be present in your electrical system. Did you know farming is actually one of the most dangerous jobs in the entire country? Farmers are routinely subjected to all kinds of danger, including danger involving electricity. There are approximately 60 farm workers who are electrocuted every year. Fortunately, there are some simple safety tips you can follow to protect yourself and your farm. Learn about them below. Look out for power lines when using heavy equipment. Are there power lines running close to your farm? If so, it’s imperative for you to be careful when operating heavy equipment around them. There are many pieces of equipment, including dump trucks and grain augers, that can get tangled up in power lines and cause serious injuries or even death. Avoid placing grain bins too close to power lines. If you have power lines near your farm and you’re looking to install a grain bin somewhere on it, you should place the grain bin far from the lines. Most states require farmers to make sure power lines are about 20 feet above the tallest point of a grain bin. But if possible, you should steer clear of putting a grain bin near power lines at all. Make sure electric fences are serviced regularly. 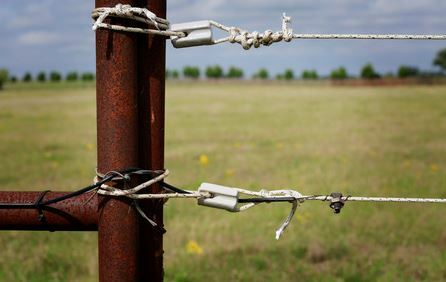 Many farms are equipped with electric fences that are used to keep animals contained. While these fences can come in handy, they can also pose a threat to farm workers and the animals themselves if they’re not operating properly. You should have electric fences inspected and serviced on a regular basis to make sure you don’t have an unsafe current running through them. Work with licensed electricians whenever you do electrical work. Whether you’re installing an electric fence or adding electrical outlets to a barn, you should always, always, always work with a licensed electrician while doing it. They will take the necessary steps to help you avoid an accident involving electricity. Could your farm benefit from the services of an agricultural electrician? Always On Electric can send someone to do any electrical work you need done on your farm. Call us at 970-309-2616 today to schedule an appointment.